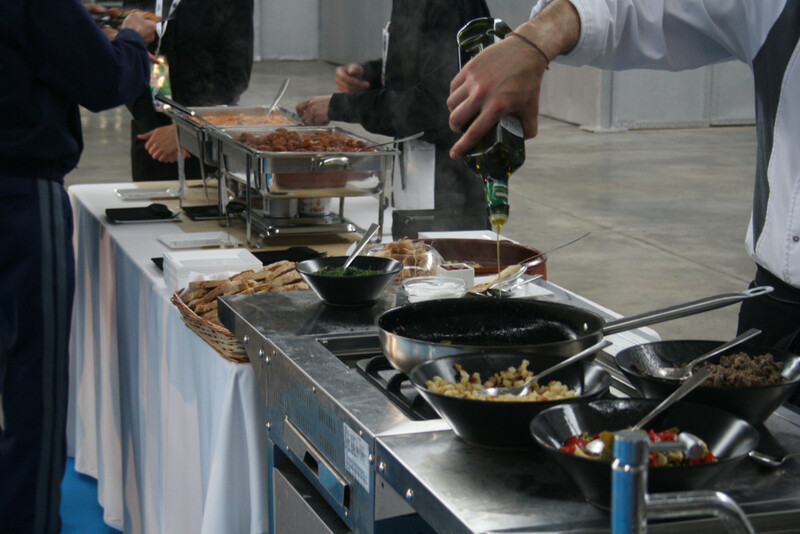 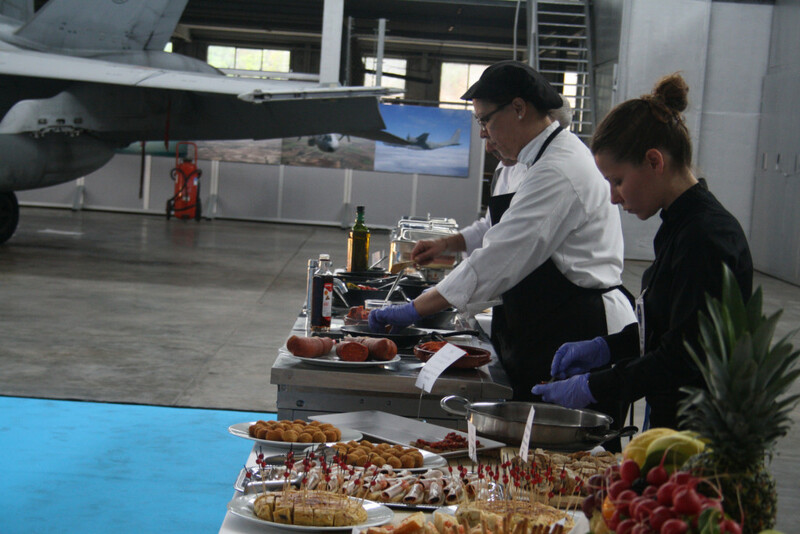 On the 6th May, Tiberi Catering offered a live show cooking at the airbase of Son Sant Joan during the celebration of an exhibition within the program of the European Air Chiefs Conference (EURAC). 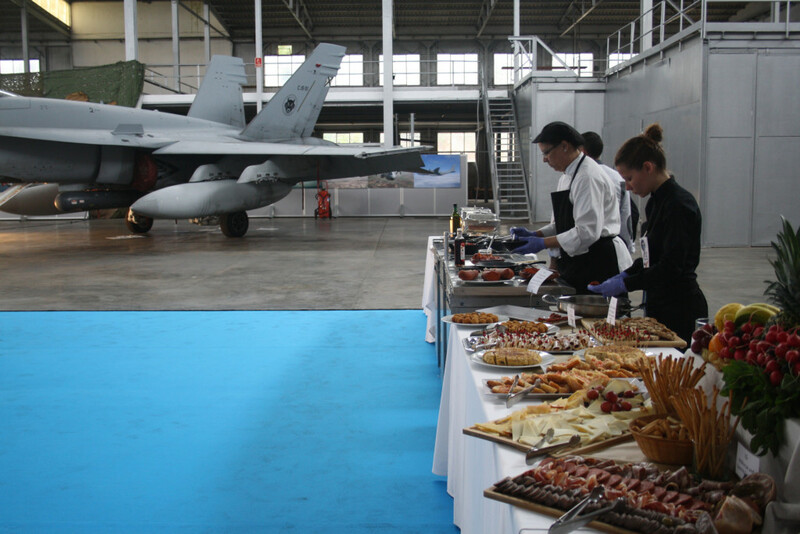 This exhibition of aeronautic companies included fighter jets and transport aircraft as well as a demonstration of medical equipment for emergencies. 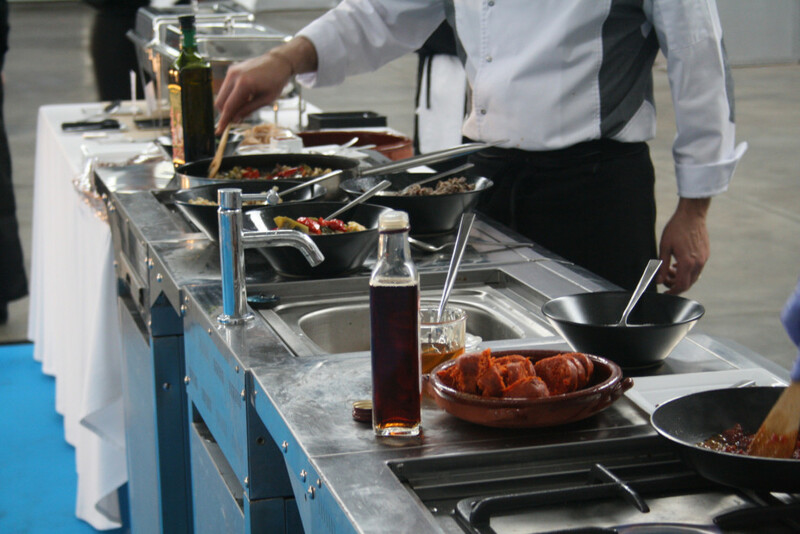 The menu served for the occasion consisted of a combination of classic dishes and gourmet dishes made with local products in order to present our cuisine to the guests from all over Europe. 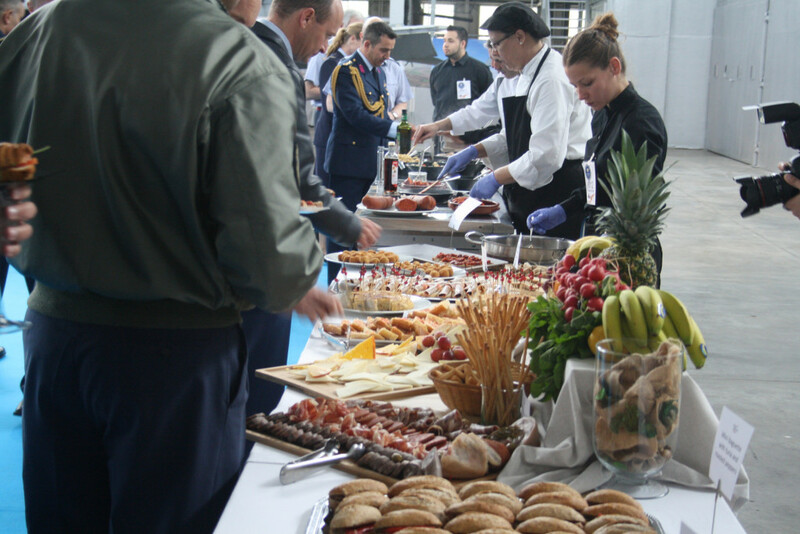 The European Air Chiefs Conference, EURAC, is a biennial conference held for the first time in 1993. 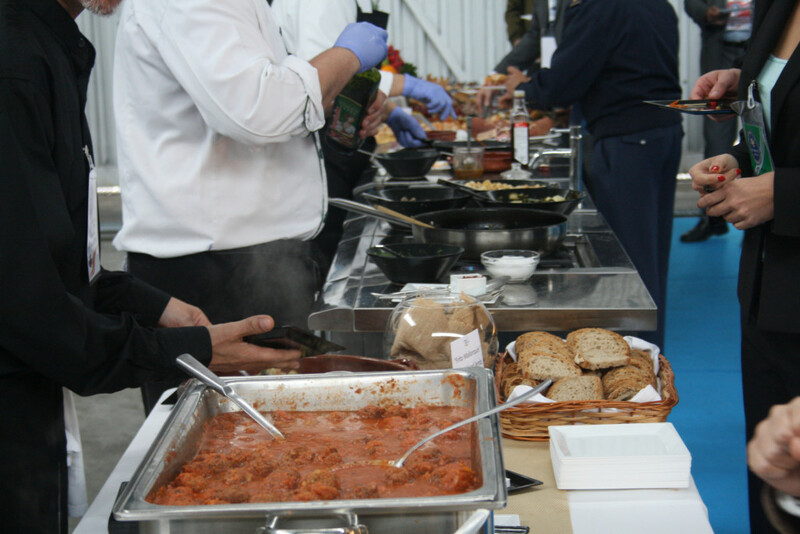 It brings together the heads of the air forces across Europe to share their strategies and to develop coordination tasks in the air defence of the continent.